The Dining Philosopher: Our Hibernate Search Refcard is out! Our Hibernate Search Refcard is out! 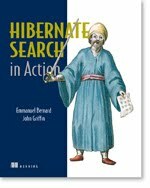 has just released our Refcard on Hibernate Search. This is a 6 page "cheatsheet" for new and experienced users of this technology filled with summary information for quick lookup. We hope you enjoy it and its makes life a little easier for you. It looks like we will just make the December launch of Hibernate Search in Action. We're hoping to be on the shelves during the last week of December. It will make a great 'IOU one Christmas present' for that someone you know. It would also be a fantastic birthday present. Buy it, you'll like it!